I first discovered facial exercises back in the 90s. The skin on my face had started to droop as I was approaching forty, and I noticed that the lines around my mouth were becoming more prominent. I had used creams and moisturizers for years, but all this seemed to do was make my skin soft; it had no effect on the skin that was beginning to droop. Thanks to advertising, I became aware of electronic facial exercisers or toners, which were said to help sagging by sending electrical currents through your skin and jump-starting, if you like, the muscles underneath. So I started to look into them. The one thing that I did discover was the fact that the skin on your face is actually attached to your facial muscles. This may sound obvious, but in fact, it is not the norm. Other muscles around your body actually "slide" under the skin to make sure that your body works like clockwork. Whereas on your face, the muscles are connected by a network of veins, skin, and capillaries that work together. This is shown whenever you smile, frown, or pull a face. If the muscles were not attached to the skin, then you would notice the skin gliding over the muscles when you do this. The electronic facial exercises are really good buys, purely because all you have to do is place them on or around the muscle that you wish to stimulate and they do it for you, by sending a small electrical pulse through the skin. But these are not for everybody. Some people don't like the idea of zapping their face with electricity! And others can't use them because of certain illnesses or medication that they take. Also at this time, I began to realize that, actually, the more creams and lotions that you put on your face the saggier your skin becomes. If you think about it, what happens when you put a paper bag in water? It begins to get soggy and stretch. And this is what happens if you put too much moisturizer on your face. Especially if it is one of the really thick creams that seem to stick to your skin and you have to wipe off. It's not so bad if you use lotions because they actually evaporate quite quickly, keeping your face firmer for longer. Natural facial exercises were the best thing for me. After only one week of practicing the exercises, I noticed that the lines around my mouth had disappeared! It was fantastic! The skin looked younger, and underneath my eyes, the skin was smoother, and not beginning to go baggy as it had been. I was converted! Now I do these exercises every day. Before you start, make sure that you apply a small amount of moisturiser to your face. Also rub some into your finger tips too. 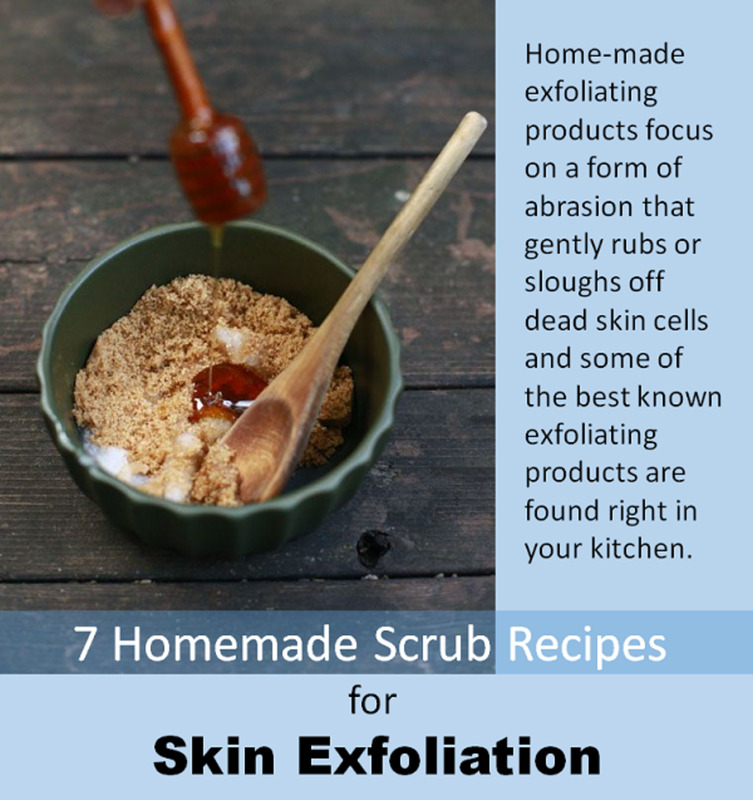 This will stop you tearing or pulling the skin. There are three exercises for your forehead. 1. Place your fingers on your eyelids to keep them in place and then raise your eyebrows. Do this ten times. When you are used to the exercise you can just do it without using your fingers. 2. Stare straight ahead and pull your forehead tight, as though you are trying to bring it back over the top of your head. Hold the position for ten seconds then do it again. 3. This one is a bit more difficult. Pull forehead back as in the above exercise. Then try to lift each eyebrow separately. Do each eyebrow ten times. Close your eyes. Hold them closed if necessary. Then raise your eyebrows as far as they can go. This will help the muscles to contract and get stronger. For under the eyes, this exercise is really good. It helps alleviate bags, and makes the blood flow better so as to get rid of that dark circle that most of us have sometimes. I have been using this for a long time, and it really works. Face the mirror and pull up your under-eye muscles as far as they will go. This may be quite hard to do at first as you will want to squint. But do not squint. Keep your eyes as wide as they can go. We don’t want any squinting as that will cause wrinkles around the eyes! Eva Fraser is 82 years old. When this photo was taken, she was a sprightly young 80. So how does she do it? Well back in the 1970s, when she was 50 years old, she met a ballet dancer by the name of Madame Hoffman who had the idea of exercising the facial muscles. And she looked fantastic. Eva learned her secret, and perfecting the exercises with her own special touch, she now goes on to teach others. With numerous books, CDs and lectures, she still teaches 6 days a week. Amazing lady. She is the walking proof that this does work wonders. Smile as hard as you can, and at the same time put your fingers on top of the cheekbones. Push down as hard as you can at the same time as holding the grin. Face the mirro. Using only one side of your face, grin as wide as you can on that side. Pull up the cheek muscle as hard as you can and hold it for ten seconds. Do this ten times, then change over to the other side of your face and start again. This is where you start to notice saggy skin. So this one is really important. First of all imagine that you have tasted something bitter, like a lemon. What do you do? You pull your lower cheeks and jaw line back away from your mouth. Keep your mouth slightly open, and pull the lower half of your face into a grimace or grin. Now try and ignore the cheek bones, only use the jaw line. Do this ten times. This is great for pulling the muscle back and forward. You will feel it stretching like elastic. This will tighten skin that is beginning to sag. Now try it one side at a time. This will take a bit of practise but is well worth doing. In fact the better you get at it, the more you will realise that it is working. The idea is to get the muscles on your face so tight, because of the facial workout, that you will be able to do them while sitting watching TV or even on your coffee break at work. By the time you have been practising for a few weeks you will find that you will be able to do the exercises really quickly and easily. The muscles around your lips sag quite quickly as you get older, so you need to do this exercise regularly. Open your mouth wide. Now, without closing it, make the letter O. Hold the position for three seconds and do it again. Do this ten times until you feel comfortable with it, and then as many times as you like. Place thumbs underneath your top lip. Pull out gently and at the same time pull back with your jaw muscles. In other words, pull your chin down as though you are stretching your chin line. Do this ten times. Open mouth as wide as you can. Now, pull the muscles sideways on your top lip. Just imagine you have an itchy nose and can’t scratch it! That’s the one! Open mouth slightly. Now lift your top lip up to the side of your nose. Try it first with both sides, and then one at a time. You will find that you will be able to do one side easily, but the other will take a bit of extra push to get it there. I call this one the Elvis! No explanation needed! I have put these two together as they are very similar and overlap the exercises. For a smooth neck, close your mouth and look up at the ceiling. When you have stretched back as far as you can go, put your lower lip over the top lip. As you practise more and more, you can stretch it even more by doing the above, but at the same time as putting your lips over the top lip, smile as wide as you can. And finally for that all important double chin, close your mouth and look at the ceiling again. Only this time make your mouth into an O shape. As your practise gets easier, change from O to E then back again. Alternate for as long as you like on the condition that it is comfortable. Only start with ten to begin with. When you have finished your daily face workout, give your face an oxygen boost by really stretching your mouth as far as it will go, then relax. Take a deep breath and hold for a few seconds. And to give yourself a lovely glow, put a light liquid moisturiser on your hands, and briskly rub into your face. When you have finished, pinch your cheeks for a natural red rosy look. This also stimulates blood circulation. 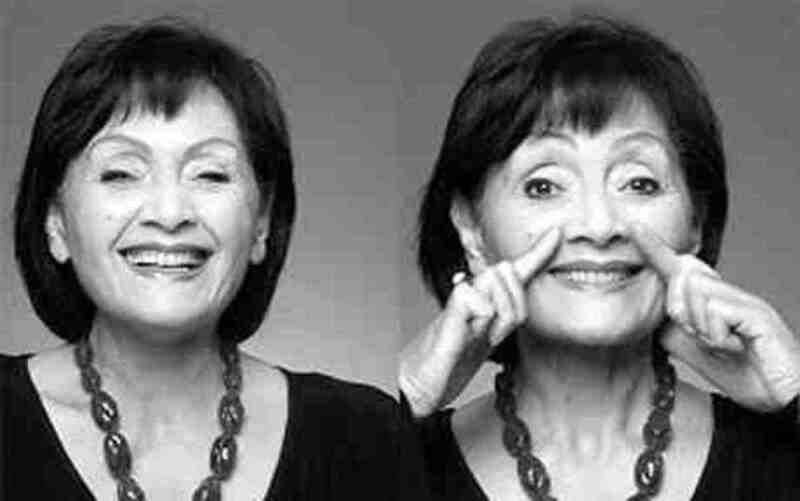 Facial exercises are a really good way to keep those wrinkles at bay. Exercising your face each day for just ten minutes at a time will make a vast difference to your appearance. As the weeks go by and your muscles become tighter, you will notice the harsh lines around your mouth and the saggy skin underneath your eyes becoming clearer and smoother. Exercising your face is probably one of the best face lifts that you can have. After plastic surgery, the muscles in your face will start to go slack again almost immediately unless you exercise them. I am sixty-three. I have been putting serums and organic rosehip oil but doing nothing else. However, now I have very prominent wrinkles and nasolabial folds. Is it too late to start facial exercises? I am rather tall and slim (5"7' and 135 lbs), and my skin is very thin. I am also losing muscle definition in my arms despite exercises and swimming every day. I am afraid to go for injection of any fillers in my face. Is there anything I can do, or is it too late for me? I am not an expert, but I think I would aim for stretching exercises more than hard swimming. 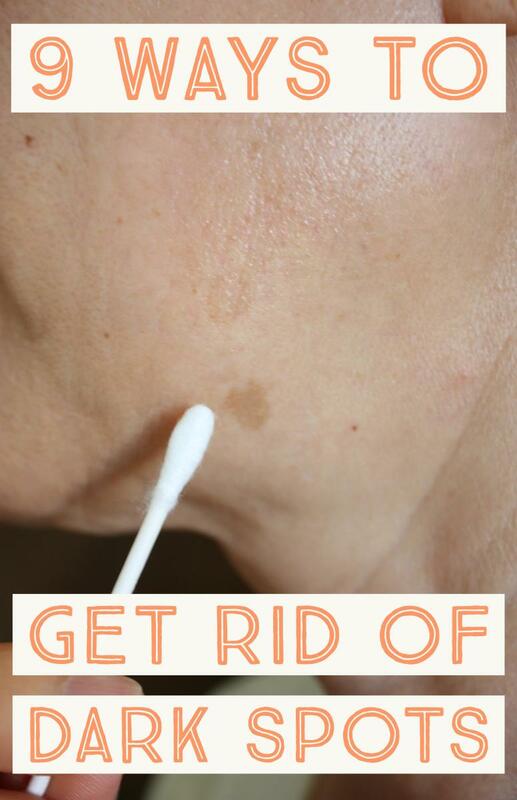 The water is probably drying up your skin and can make it feel and act thinner. The best way to do facial exercises is to literally smother your face with cream and then do the exercises. This way it won't stretch your skin. Put on a couple of pounds, and leave off the swimming apart from say, once a week. This is what I would do, and yes definitely with the face cream. And yes, the exercises will work. Do you have exercise advice for lines around your lips? Thanks Linda, I never thought of that. Maybe I will try it. thanks for reading. Yoga can rejuvenate your skin as well as help you to have a beautiful, gorgeous skin. Yoga is indeed a wonderful way to reinvigorate your body, soul, and mind. Hi Razii, yes it will be fine. Its just that you stretched it where it hasn't been stretched before. The best thing to do is to gently work your way up to the strongest pull of muscles, that way you won't break any tiny blood vessels. Good luck and thanks for reading. LOL! Paula! you always make me laugh! What???! These are facial exercises?? This is what I look like when I'm talking to someone. Think I might be a bit too EXPRESSIVE????? Hi, keep your eyes wide open, and just lift under the eyes. Make sure you don't move your top lids, okay? thanks for reading. LOL! proves its working Donna! thank you! My face hurts. I am loving it!!!! Sorry Jennifer, its a good idea, but I haven't made one, yet! lol! Thanks for the explanations. I'm wondering if you have made a video of these exercises. I feel that I could be doing the wrong thing without a visual. That's great Natalie! I will have to look out for it! My moms been using anti-aging serum from dermalmd.com for months now and has seen some improvements in her fine lines around her eyes and nose. This set was for her she’s been down about some stuff so I had to cheer her up! I have noticed a difference in her face. She’s allergic to everything and fortunately has not broke out using this! Hi Rita, there are some amazing sites on Google I am sure they can help, this is purely about facial exercises. Sorry I can't help. Now I am 25 years old unmarried lady.from around 22/23 I saw open pores in my skin, which now seems to me uncurable .plz do something. Fix my problem. 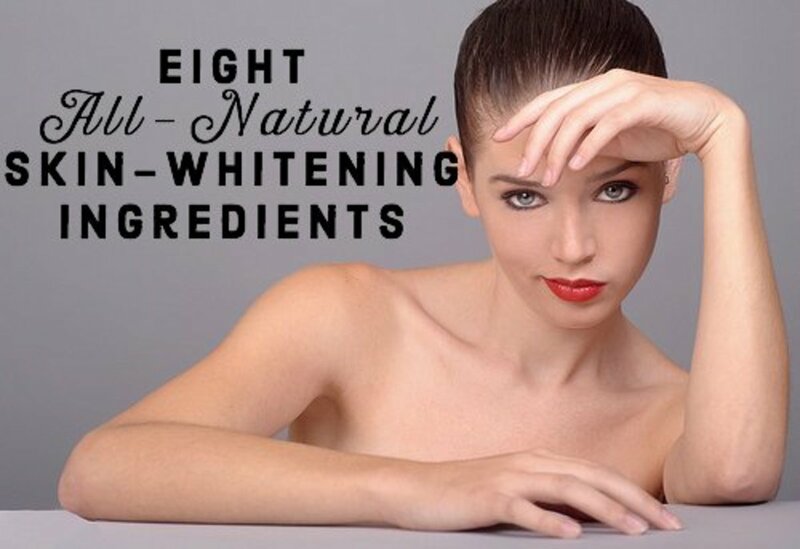 Skin color:fair.scalp type:oily.skin type:most of the time oily, summer time excessively oily, in winter mix. Thanks Sue, glad to help. it feels wonderful, I could so easy do daily. hei, i was wondering if the eye exercise is effective for lifting the eye, and making them more awake then droopy? Hi Milan, sorry for taking a while to get back to you. Here's a video I found that may be useful for you. Good luck! (both the corners), above the chin . I don't know if they are muscle or fat.I am a skinny guy. It makes my mouth look protruding .Can you advice some exercises to reduce it. Thanks so much Shauna! lol! yes I am going through them all too, its much more difficult this time isn't it? but well worth while, and thanks for liking this, and good luck with the exercises! Nell, I wish I'd found this article sooner! I'm surfing the niche sites in preparation of voting in the upcoming Hubbie Awards. Since many of the niche site names don't reflect what's inside, I'm going in one at a time. I'm printing this article. In the past year, I've noticed my eyelids have begun drooping, the bags under my eyes are more pronounced, my neck is sagging, and I have downward facing lines by my mouth down to the chin. Hi Andrea, sorry I can't edit this article, but I do think this is a pretty good video, others tend to only show one movement etc, good luck! Anybody can do it Kenny, it really is just to tighten up your facial muscles, then they will hold up the skin. Its the only place on your body apart from biceps, that the skin is attached to the muscle, so the more exercise no sagging skin. Hi i'm 19 and I wanna know if this article is for older women battling facial wrinkles and sags?...or it's general for all women of all ages? I am prone to headaches, doing this caused one but I will not give up. I also have vitiligo and I have to use thick creams on my skin. On the other hand, because I have vitiligo I look younger than my age. Doctors don't know why, it just does. I am printing this one out. I am 63 now and starting to get lines around my mouth and the droopy cheeks to go with them. I want to look as young as I feel. Thanks Nadine! lol! 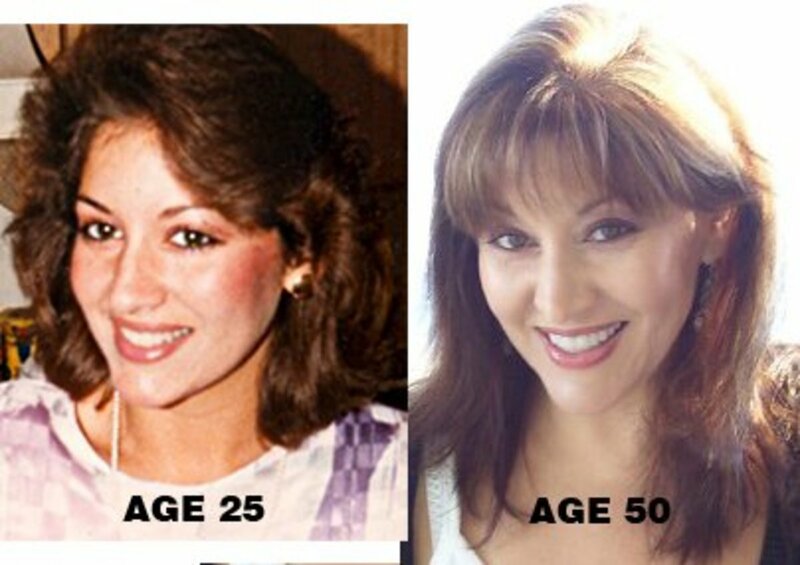 I have been using it for years, and so far still no wrinkles at 56! never to late! lol! Wow Wow Wow I wish I have known about this when I turned 50! I suppose its never to late so I will keep these exercises in mind each morning. No wonder this post has had so many comments. Well done! Thanks so much Audrey, good luck with the exercises! lol! So apparently you don't need to worry about your face staying that way if you do goofy expressions? Such a great article! Off to do my exercises now! I'd heard of facial exercises before, but I never knew exactly how to do them...now I know. Wonder if it's too late to start now?? I'm older than dirt and have plenty of wrinkles. Hey, what do I have to lose? I bookmarked this so I can read it again. 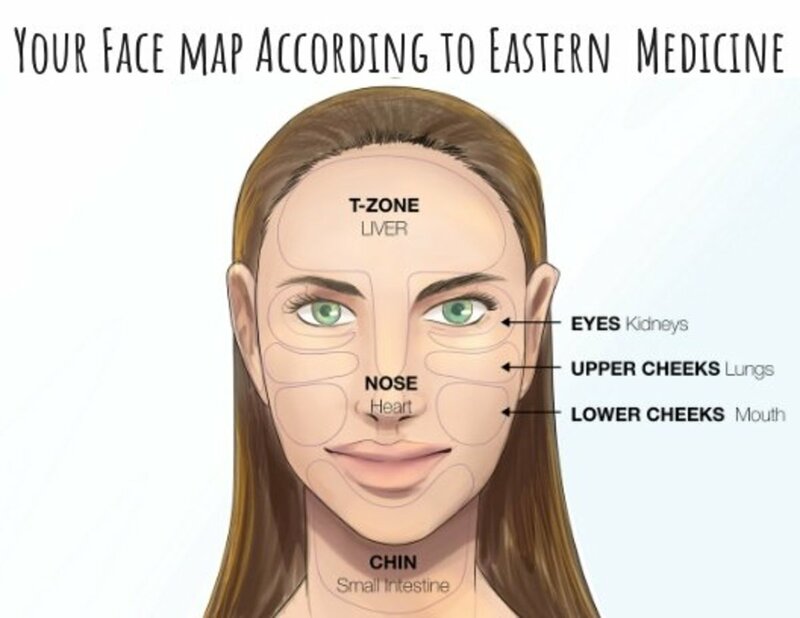 Hi Amy and Margaret, I am not sure about facial exercise after surgery, but I am sure there are other articles that will give you a useful answer, I would imagine that it would be fine after healing, but its best to check. My plastic surgeon at McLean Clinic, Toronto told me there is no side effect for a brow lift. This is a great article. Would you like sharing some exercises for the post op people. That will be really helpful. Great exercises. I had recently undergone a face lift surgery from a leading plastic surgeon in Toronto (www.mcleanclinic.com). I would like to ask whether it is safe for me to do these facial exercises. Good facial exercises. I have bookmarked this information. I read that drinking water from a water bottle makes the smile lines more protruding. I have dimples and I've heard that eventually dimples become wrinkles, but I won't worry about that yet. Maybe do them both at the same time! lol! now that would be funny! thanks Linda! Good hub, Happy New Year Nell. Haven't been on for a while, but I remember you. Thank you for your support when I was first getting started here. This is something every woman needs to know. I'm pinning this to my Things You Really Need to Know board. I also plan to start doing these exercises. Thanks ken and jane, and yes of course feel free to print it out, and thanks! You know what I am going to practice what you've written up there. Even if I am a male! You don't mind if I print it out??! Hi ris, good luck, and you will notice a difference I am sure, thanks. Way to go Cyndi! lol! it really does work, I keep doing them myself and of course age does catch up a bit, but the parts of your face you notice slipping you can work on, thanks great, thanks! Hi Nell Rose, I had to come back and make another comment. I've been trying your exercises since I read your article. I might be my imagination, wishful thinking or I need new contacts or something, but I do see a difference since I've been "working out." Oh, Nell, I'm beginning to wish I'd started these exercises years ago. lol. Lol. the neck and double chin exercises made me laugh. Great hub! Fun advice. Thanks for sharing. I'm so happy I found these exercises. My eyelids have started to get a few wrinkles and I have wondered what I could do. I can't wait to try this. I'm lucky I practice laughing a lot! These are great. I did these as I was reading and I really feel the effects of the workout. I'm going to save this article and do them every day. very informative and unique. I read a study which said chewing gum also helps face muscles and helps hinder the appearance of wrinkles. Love this hub. Thanks for the information. This is very helpful. I'm so glad I stop by! Thanks for this. I'm going to give it a ret! Great tips! I'm going to begin my facial exercises today! Thanks for sharing! Awesome hub... I actually saw something about 'face yoga' on TV the other day and wanted to research it, your hub came at the perfect time. :) .. I'm at the age now where I am in need of some preventitive maintenence, so I will definitely be trying some of these excercises out. Hi katy, thats great! I have noticed a big difference to my face after using the exercises, I do them every day! lol! pulling funny faces has to be done in the dark! Thanks Bumpsysmum, good luck! it really does work, I still do them every night! I am going to try this, anything to slow the inevitable sagging. Great hub. I downloaded some facial exercises some time ago, but didnt do them. It s time I did because I think they should work. Thanks for the details. I shall get started. I will try that to delay my getting old...he, he. Thanks for sharing this. I can vouch for facial exercises. I started doing the one for the neck and double chin and after the first week, I noticed that it was working. So, I figured it would work for other areas, too. I also do facial exercises to bring the sagging on both sides of my lips up. This one is taking a little bit more effort. But, after a month, I am starting to see a difference. Just reminded me to do the stretchy faces! Hi Nell!